New SpeakerCraft Weatherproof Landscape Series includes two satellite speakers and two in-ground subwoofers, plus quick-connect accessories for easy installation. The outdoor series features waterproof HDPE enclosures to ensure that leaks don't happen. Furthering its commitment to provide installers with exceptional audio experiences in every listening space, SpeakerCraft – from Nortek Security & Control (NSC) – announced the launch of its new Landscape Audio Series. The new outdoor line includes satellite speakers, in-ground subwoofers, and accessories that bring the SpeakerCraft signature sound and indoor quality to outdoor living spaces. The debut was made at ISE 2018 in Amsterdam. “The new durable and weatherproof SpeakerCraft outdoor series delivers a brilliant sound performance, with an emphasis on powerful bass for any outdoor area,” says director of audio Alex Zaliauskas. The SC-OG-6 6-inch (152mm) and the SC-OG-4 4-inch (100mm) 2-way All-Weather Outdoor Satellite Speakers both feature a weatherproof design that ensures years of reliable performance. 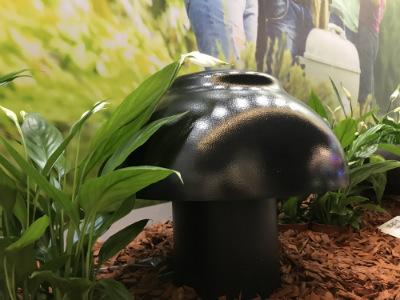 The new speakers incorporate nickel-plated brass fittings that address a common failure point among other landscape speakers that use plastic-plated fittings. The Boom Tomb In-Ground Subwoofer features a waterproof enclosure made from the same material used in municipal water supply lines. The Satellites can operate in traditional 8ohm mode, but also have adjustable 70V/100V tap switch settings. This enables installation and amplification modes favored by many installers, and allows users to set the volume of each speaker individually. 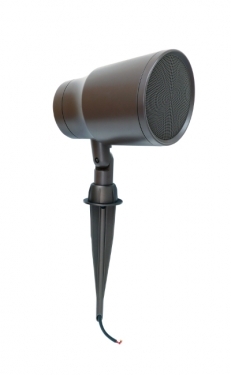 The 110-degree wide dispersion ensures wide audio coverage in all outdoor spaces. The new SpeakerCraft SC-BT-12 12-inch (300mm) and SC-BT-10 10-inch (250mm) Boom Tomb In-Ground Subwoofers feature waterproof HDPE enclosures, made from the same material used in municipal water supply lines. They are dunk tested at the manufacturing facility before shipping to ensure that leaks won’t happen. Both subwoofers feature a high-flow port design in which the port and canopy assembly spreads the moving air evenly in a 360-degree pattern, thereby reducing air turbulence and eliminating annoying port noise. The woofer magnet is located on the vented side of the enclosure, which allows it to be cooled by airflow in and out the enclosure, adding longevity to the motor structure. And the port assembly is covered by an aluminum mesh grille that allows unrestricted airflow yet prevents intrusion of bugs, animals and debris. Making installation easier than ever for the installer, SpeakerCraft is also introducing new ‘quick connect’ accessories, including the AW-LS-STAKE Landscape Speaker Stake Mount, the AW-LS-CONDUIT Landscape Speaker Conduit Box Mount, and the AW-LS-MOUNT Landscape Speaker Surface Mount.